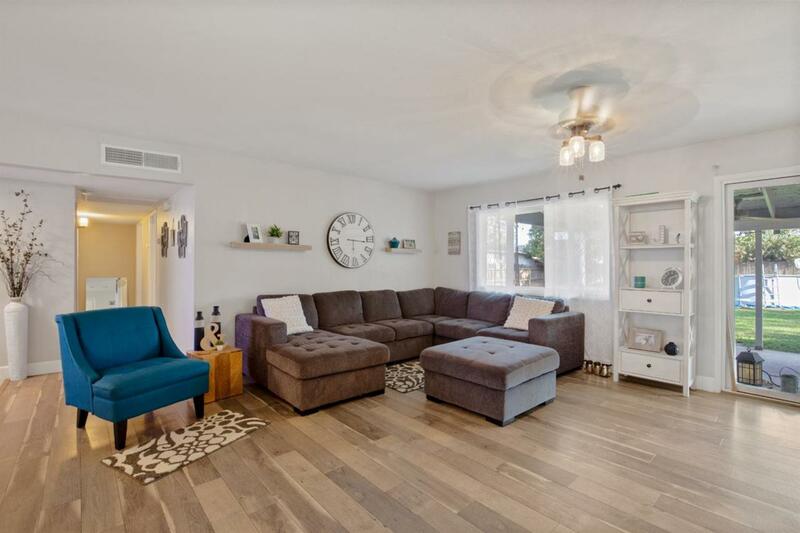 This beautiful home has been recently remodeled, features an open floor plan. Custom kitchen with beautiful granite countertop and brand new cabinets, new stainless steel appliances. New interior and exterior paint, new carpet and wood laminate floors. Tile in both baths and kitchen and dining room floors for easy cleaning. Newer windows and sliding door. Ceiling fans in all bedrooms and living room. With huge lot with an above ground pool perfect for this hot summer nights. So much more call now for a private showing.